Thank you for pointing that out,everyone post here but did not call out Leicester for their cheat. If Klopp get sense he would go and beg the boy to come to Liverpool,boy deserved to start playing CL,I would have suggest beloved but with Wenger ouch let him go where yeye british players will not be selected ahead of him. He played in less than half of their games this season, yet you think he is more deserving than Schmeichel? He was recognized for his efforts. Wey Schmeichel dey when dem they chop goal from every angle from august to december? Oh yes, sorry....na him dey collect the ball from net. I don't mean to minimize any player...all of them played their part - including Musa sef - but Ndidi edged them all out. He stabilized that team, and his effect is still being understated. Chief, they were still chopping goals even after Ndidi came in. It wasn't till after the coaching change that things completely changed for them. Ndidi has been a great addition to the team and has added a lot of value but I think Schmeichel shaves it for being consistent all season long even when those in front of him were fumbling hard..
Chief, if it were to be a contest between the new coach and Ndidi, I go hear you. But Schmeichel??? Mba. I admit, earlier in the season I thought Huth and Morgan were retards. So something happened with those 2 that helped stabilize the defence. I believe most of that work was in midfield, and not with Schmeichel. The problem i have with us nigerians is this...just why should they take away the 'young '....because he is Ndidi and Nigerian..haba! Cant we just celebrate this one and pray that he go on to greater heightd instead of advocating for federal character or the usual racism angle. My brother nothing is wrong with the award....the boy did well and the recognition does not diminish him in any way. You've clearly missed his point. Oloye has been infected with the CE reply before reading syndrome. What point oh....the point that he deserves the main award and not the young best player award? Biko enlighten me, i went to an evening school for adults! who are the 'young' players at Leicester? Who i just 6 months older than Ndidi. You beat me to it. Congrats Ndidi . Relax man your left hand is from Martinique. Just put Vaseline on it and you are good to go. 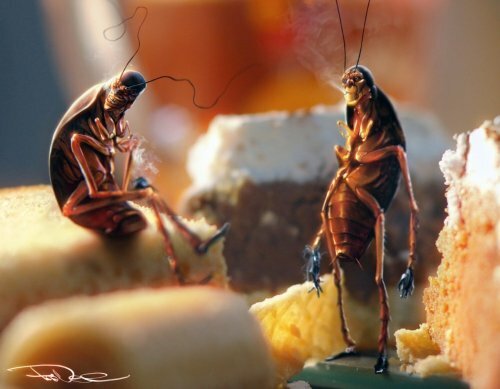 Roachlings doesn't feed on this kind of story. He feeds on crumbs n shytt. And after just half a season!! and some Naija man said "... after starting just 7 games!!" And nacho has been stinking up the joint ever since?